India snuck home with three wickets in hand against Bangladesh to claim the Asia Cup title for the second time in succession, but they were made to work far harder than many expected. 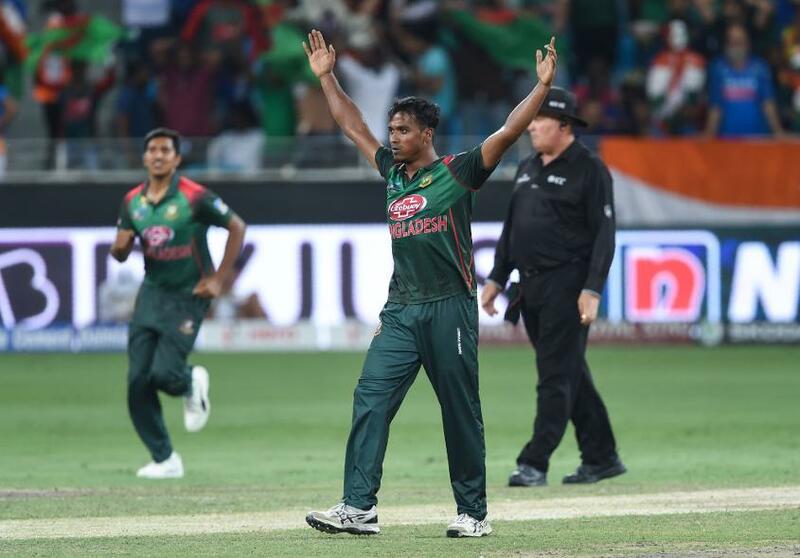 Bangladesh had made 222 on the back of a brilliant maiden hundred from Liton Das, but three wickets from Kuldeep Yadav, two from Kedar Jadhav, and three run outs had perhaps made them slight favourites, especially considering their batting firepower. Shikhar Dhawan entered the game with two centuries in the Asia Cup to his name, and having never made less than 40 in this year’s competition. Rohit Sharma had scored 194 runs since his last dismissal. India started every innings with a fifty partnership, and in every game the two played, at least one had made a fifty. It is therefore to Bangladesh’s immense credit that between them they made just 63, Dhawan dismissed first for 15, toe-ending a drive off Nazmul Islam to Soumya Sarkar, and Sharma for 48, striking a pull of Rubel Hossain cleanly but straight into the hands of deep square. 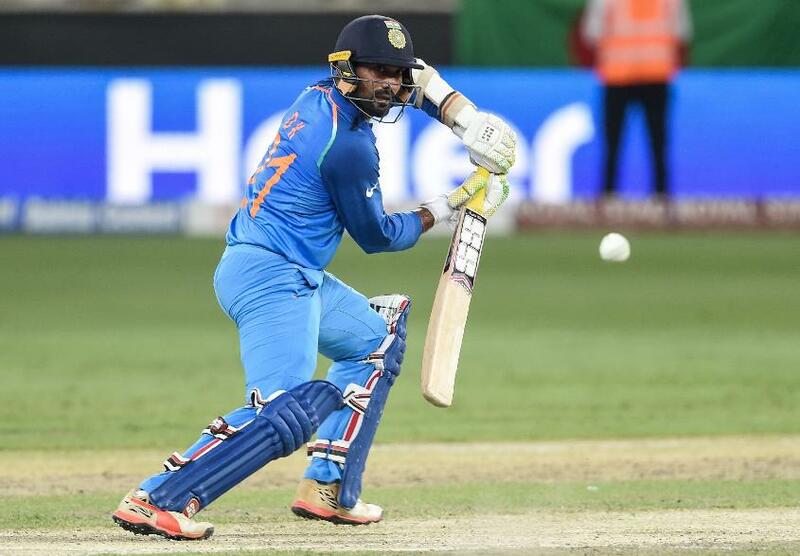 With Ambati Rayudu having fallen in the interim for two, nicking off to Mashrafe Mortaza, India found themselves 83/3, and under true pressure for perhaps the first time in the tournament, having previously only struggled in dead rubbers. What followed was a proper scrap, a to-and-fro in which the advantage swapped hands regularly, with India only stretching clear right at the last. India relied on contributions and cameos rather than one player to see them home and there were seven scores between 15 and 50 in their top eight. Dinesh Karthik and MS Dhoni added 54 before the former missed a full toss from Mahmudullah and was given LBW, and Dhoni fell soon after, edging behind for a turgid 67-ball 36. Jadhav looked fluent, but having bowled nine overs succumbed to cramp and retired hurt. He reemerged at the fall of Ravindra Jadeja’s wicket, the all-rounder and Bhuvneshwar Kumar having added 45 mostly in singles. They had looked to have sewn up the game, having guided India to 212/5, but there was one last twist, with he and Kumar falling in the space of two runs. Both were caught behind, the former on review, and the second to an excellent diving catch. 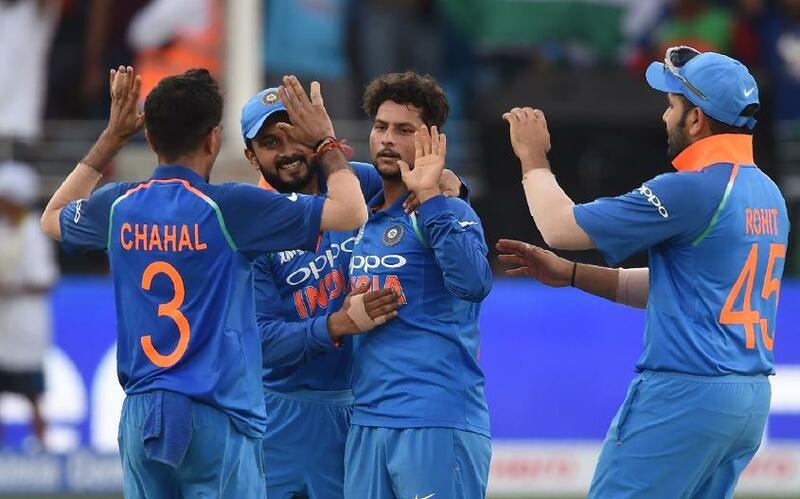 India still needed nine from 11 which became six from six and with Kuldeep Yadav on strike after a superb penultimate over from Mustafizur. His final figures read 2/38, with Rubel Hossain’s 2/26 outdoing him, testament to Bangladesh’s determination to give nothing away. The tension became nigh-on unbearable. Six from six became five from five, four from four, two from three, two from two, and one from one, before, at last, the magnificent final was decided, Jadhav missing a leg-side flick but running a leg bye regardless. Earlier, Das’ majestic 122 carried Bangladesh almost single-handedly to their total of 222. He was partnered in an opening stand of 120 by Mehidy Hasan, Bangladesh’s top order resembling a merry-go-round in the absence of Tamim Iqbal. Mehidy is generally considered a bowler first and foremost; though he has an ODI and Test half-century to his name, he also averages under 20 in both formats. In one way, his doughty 32 from 59 did little to dispel that notion, containing just three boundaries as he struggled to score fluently. In another, it was vital, providing key support to his more established partner, who was batting on another planet. Das has made a habit of looking like a top-quality batsman only to find ways to get out, and it was close to a travesty that before this innings his high score was a mere 41. Today, he demonstrated he could go big as well as beautiful. He was imperious to start with, hooking the pacers over square leg and lofting them over mid-on, slog sweeping the spinners and smashing them straight, racing to 50 from just 33 balls. But even more impressive was how he consolidated afterwards, tucking away singles and putting away the bad ball. By the time his hundred came up – his first in international cricket, and the only fifty-plus score in the match – he had all but 45 of his side’s runs to his name. By that point Bangladesh were in the midst of a slide of 31/5. Mehidy was the first to go, playing a rare rash shot, undone by Jadhav’s lack of pace as he tried to smash through the off-side. Then Imrul Kayes was struck in front by a sharp turner from Yuzvendra Chahal, before Mushfiqur Rahim, who has been Bangladesh’s batting mainstay this tournament, holed out to deep midwicket off Jadhav for just 5. Mohammad Mithun then became the first of three to be run out, Jadeja brilliantly intercepting a sharp Das drive and precipitating a mix-up. Soon after Das brought up three figures, Mahmudullah slogged Kuldeep horribly to cow corner, hitting the ball so badly it almost fell safe well in from the rope. They win by three wickets off the last ball! 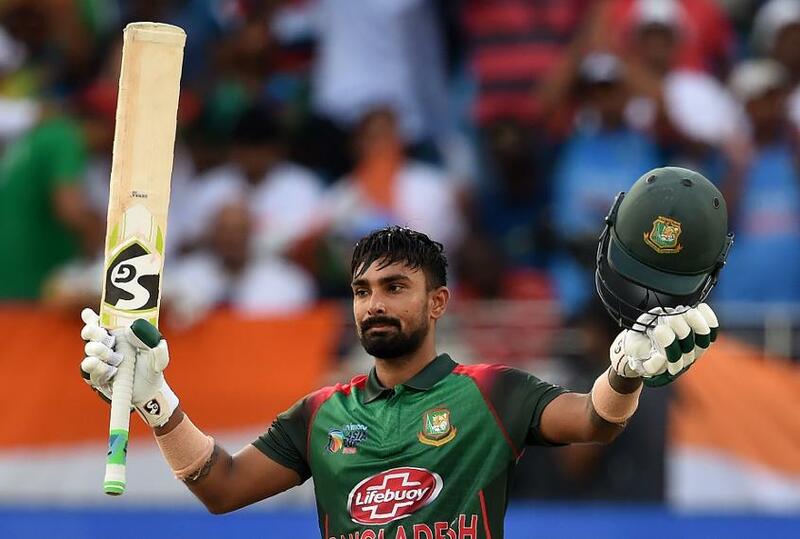 Soumya Sarkar – another like Das who has flattered to deceive in his international career so far – helped put on a mini-rescue act, grinding to 10 off 25 before his first boundary, smashed over the leg-side fence. When Das lofted Kuldeep over his head to claim the record for the highest ODI score by a Bangladeshi against India, it looked like he might be launching an assault in the last 10, and that Bangladesh might reach 250. But he fell three balls later, a wide googly enticing him to stretch out before turning past the outside edge, and Dhoni completing a sharp stumping with his toe on, but not behind, the line. Mortaza went six and out, again stumped off Kuldeep trying to repeat the treatment, before Manish Pandey, on as a sub fielder, ran out Nazuml Islam, calmly running up to the stumps and dislodging the bails with the batsman stranded. Sarkar’s responsible 33 then came to an end, a superb Rayudu throw catching out his lazy attempt at a second, and two balls later it was all over, Jasprit Bumrah demolishing Rubel Hossain’s stumps with a yorker. It was tough to tell at the halfway stage who was happier. Considering India’s bowling strength and the players Bangladesh were missing, they might well have taken 222. But with them having made such a strong start, and with one man making half of those by himself, India might have felt they had the momentum. With the game building to a thrilling conclusion, that meant it was probably about level.